I receive many messages from people who have recently lost a loved one, are practicing psychic or clairvoyant powers or Out of Body Experiences, or who are simply curious about life after death of the physical body, the "afterlife" or "life after death" as it is often known.. Many people are afraid of "death" simply because they are either afraid of the unknown or often have been affected by a religious doctrine such as the concept of "heaven" and "hell". Others are afraid of the scientific notion that death is the end, "oblivion". It often comes as a great surprise therefore to discover, having departed the mortal, physical body, they are as "alive" as ever; in fact much more so in the afterlife. The full process of the change and transition known as "death" is discussed in Our Ultimate Reality. Understanding this process can have a profound effect life after death experiences. Usually however, after spending some time close to the physical world, the person will make the transition to the Astral worlds; often known as "the afterlife". There are numerous Energy levels of the Astral, often known as "planes", "realms" or "spheres". The precise sphere in which a person will find themselves will depend entirely upon their Vibration, which will in turn depend on their individual level of Spiritual evolution and beliefs. This is one reason why it is so important to understand these realities while still in a physical body, and above all to live life accordingly. For example, those who are very religious might well find themselved transitioning to a lower aspect of the Astral worlds known as the "belief system territories". Most decent people having completed their most recent life in the physical world will soon transition to the mid levels of the afterlife the Astral worlds or "planes" as they are often known. The Astral worlds at these levels are clean, pure, well organised, extremely harmonious and peaceful; the perfect place of rest in fact after the trials and tribulations of a physical life in the Earthly world of matter. Lakes, rivers, forests, parks and numerous other delightful, peaceful and restful environments are all available for the enjoyment of mid-Astral residents. The mid-Astral worlds are very similar indeed in many respects to the most pleasant aspects of the physical world having been created by people in accordance with their perceptions of what the ideal world should look like based upon experiences in the physical world. The people of the Astral worlds have therefore re-created the physical world within the Energy levels of the mid-Astral spheres of the afterlife by imagining and focussing what they believe it should look like. By learning Astral projection, the mystery of life after death can be investigated for yourself. People at this stage of development are still very much focussed on materialism, and therefore see an ideal world consisting of the same material things they are comfortable with, desire and above all often never could experience in the physical world. In the mid-Astral everyone can have anything they desire, and hence this level of the Universe is often known as the "desire worlds". This is a perfect situation because those arriving to the Astral worlds having passed on from the physical world will find an environment that matches their expectations perfectly. If this were not the case the shock of arriving in the true Spiritual worlds, even with all their glories would be far too great. The Universe ensures that everyone arrives in the most appropriate level of the Universe in accordance with their vibration, which is in turn a perfect match with the vibration of the level of the Universe, in this case the mid-Astral worlds in which they will live until sooner or later making the transition to a inner level, or very often re-incarnating on Earth for another physical life. Within the mid-levels of the Astral worlds are numerous realms consisting of all cultures from the past, present and future of Earth, therefore irrespective of which country, culture or tradition a person experienced on Earth, there will always be a corresponding environment awaiting in the Astral worlds. No person is left isolated after passing on to these Astral worlds with like always attracting like. There is a place for everyone without exception; so life after death is not something to be feared, but rather eagerly anticipated and embraced. There are people who even erroneously believe the Astral worlds are "home" such is the similarity to the material world. In fact the Astral worlds, like the physical world, is only a temporary transitional home on the way to our true home, the Mental planes in all of their levels, the true worlds of Spirit. The true Spirit worlds are more glorious than anything the physical or Astral worlds can ever be, but can only be attained after the density of the material desires of the Earth and the Astral worlds have been completely satiated and seen for the illusions they truly are. Although newly arrived residents in the afterlife usually find themselves in very familiar surroundings at first of the type they were used to on Earth, they are still free to explore the vast and limitless worlds and realms existing at these levels and sub-planes providing they are still broadly within the their own vibrational plane of existence, and density of the Astral body. These areas might consist of vast metropolitan like areas, towns, villages or simply very small communities, all separated by wider spaces but still containing areas of interest. Initially the sheer vastness and limitless array of realms, environments and variety of beings living there can be absolutely overwhelming for new arrivals. There are creations, areas, and ranges of colours and sounds existing far beyond the comprehension of the earthly Mind. To the new arrival the mid-Astral worlds can indeed seem like "heaven" where everything desired can become an instant reality, and where total peace and harmony prevails in idyllic worlds of beauty far beyond the comprehension of those living on Earth; life after death truly is something to look forward to. Indeed one problem with the mid-Astral worlds is that the residents are often so happy with their "home", they accept it as reality rather than realising their greater destiny of ascent to the inner, non-materialistic realms, the worlds of Spirit where the great ascent back to God continues. This ascent cannot progress until all material desires have been fully satiated. Within the Astral worlds travel is accomplished in an instant merely by thinking about where to be, whether it is travelling to a particular place or to meet a particular person, simply by imagining to be already there. There are numerous people in the Astral worlds, both humans and other beings, who are only too happy to act as guides. The Astral planes are absolutely vast, far more so than the physical Universe of matter, infinite, and wondrous, and include realms far beyond earthly comprehension until actually witnessed at first hand. The content and constitution of the Astral worlds have not only been created by beings and intelligences who have originated on Earth, but also from every other planet in the physical Universe containing high level life. Everything imaginable is available to the residents of the Astral worlds and more; theatres, music halls, restaurants, huge libraries, technology, gardens, in fact everything that exists, has ever existed or ever will exist on Earth, as well as much more that has never existed on Earth exists within the Astral worlds, so life after death should not be feared, but should be regarded as something to look forward to. Everything a person could possibly need is available, no Soul ever being alone unless they desire to be. These are reasons why to many people the Astral worlds are indeed "Heaven", until of course they progress to the still greater wonders of the inner Spiritual realms of life which will in turn seem like Heaven by comparison to the Astral worlds. The outer cannot usually comprehend the glories of the inner states of life and reality. Everything available and possible in the physical world is also possible in the Astral worlds and much, much more, but of course without earthly physical limitations. Although clothing isn't necessary due to the lack of physical weather and environmental conditions such as wind, rain and physical temperature, most people still adorn themselves with clothing simply for appearance and perceived comfort, and of course as a matter of habit. Needless to say, like everything in the Astral worlds clothing can be changed in an instant. Although temperature does not exist, being an attribute of the physical Universe, the "climate" is nevertheless always optimum for complete comfort. 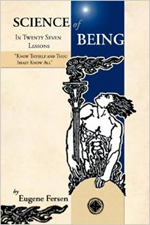 As mentioned previously, the Astral worlds are the "desire worlds" where residents still think and express themselves in physical, material terms. It is not until all material possessions are seen as the illusions they really are can true progress be made to the inner spheres of life and reality. Some people are so materialistic in their thinking that this process can take hundreds or even thousands of years as measured in Earth time including many physical incarnations. Some people, in particular those more Spiritually advanced, already recognise the illusory nature of the Astral worlds for what they really are, and might simply take a short, welcome rest in the Astral worlds before moving straight on to the inner Spiritual realms of the afterlife. 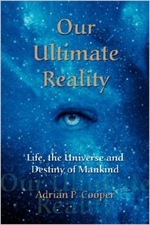 The book, Our Ultimate Reality contains in depth information on all of these important matters, including how to develop while on Earth in order to ensure the best possible state of evolution, peace and harmony upon transition, and the best methods for learning Out of Body Experiences and Astral Projection through which you can discover for yourself the truth about life after death.